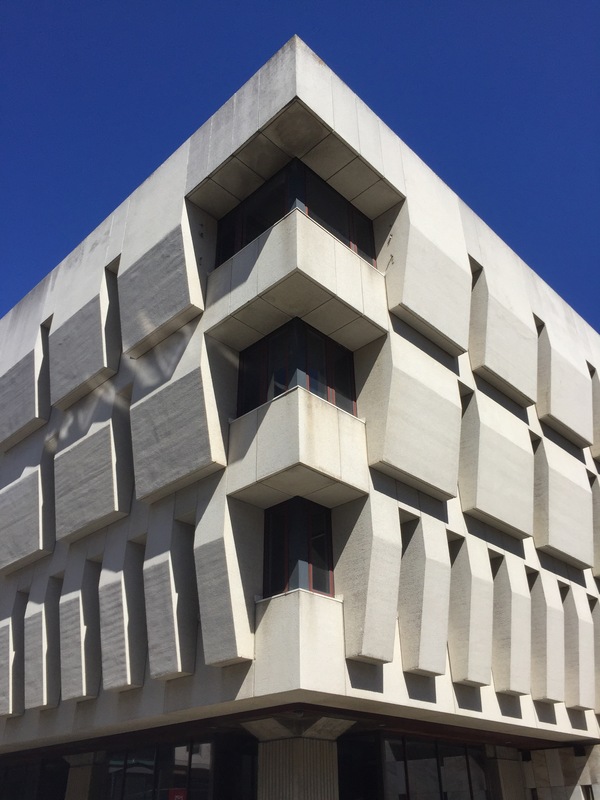 Wonderful brutalist architecture from 1970 reminding me of the town hall in Geelong of several months ago. The architects were the Ministry of Works / Works Consultancy, Wellington (Peter Boyes, Terence Broad, Gerry Hoskins and Fergus Sheppard). A recent interior refurbishment has been completed by Warren and Mahoney Architects Ltd.